I never have shared the story of why I started this new line of mine. So here we go….how elliven stationery came to be. My husbands grandmother who lives in Ottawa doesn't own a computer, so she never receives the email updates we send so often about our little family. She's so sweet, and is always sending cards/letters to update us how things are going with her and to let us know what she has been up to. I love her to bits! I then reply with an update on how we are doing here in Winnipeg. I truly enjoy this little game of tag we have, sending cards back and forth, updating one another the old fashion way, by sitting down, grabbing a pen and paper and writing. 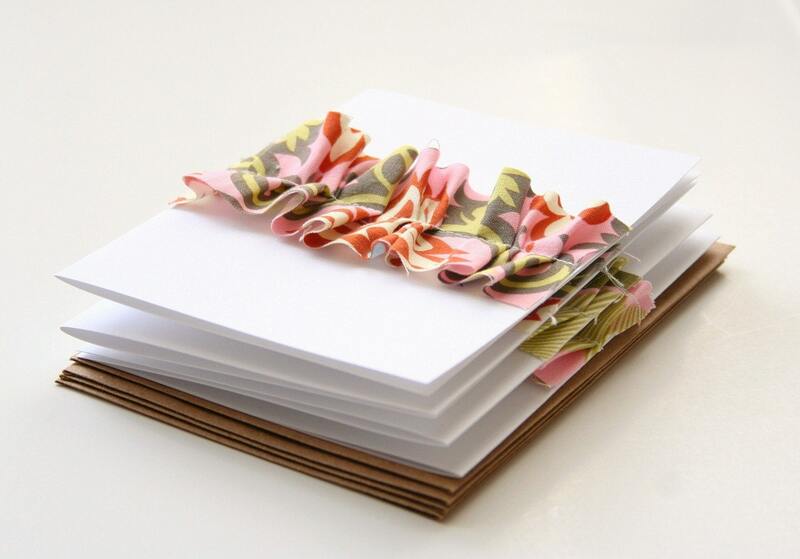 One day, I wanted to write to say hello, and the only card I had was a "thank you" card for a baby shower! Hmmm, well, that wouldn't do would it? I brainstormed a bit, dug through a few of our desk drawers looking for something to write on, but came up empty handed. I always love to write my letters to her on pretty stationery……then it dawned on me, why not design my own stationery set? Something unique, something that would put a smile on her face when she opened the envelope, something unexpected…..ah-a, fabric! 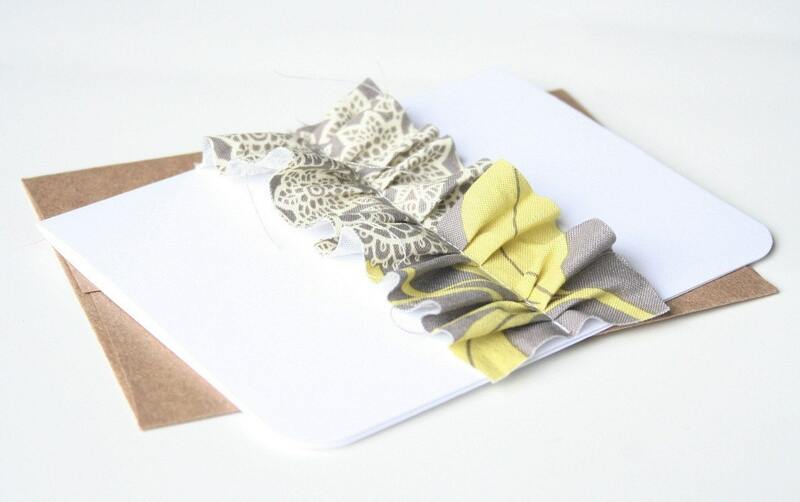 I went to the studio, tried a few different designs out, one of them being a fabric ruffle….I loved it! The feedback was fabulous! I had no intentions on making it a line in my shop, I simply wanted something for my own, personal use. I continued to receive comments on the cards and that's when I thought that perhaps they would be fun to add to the shop. 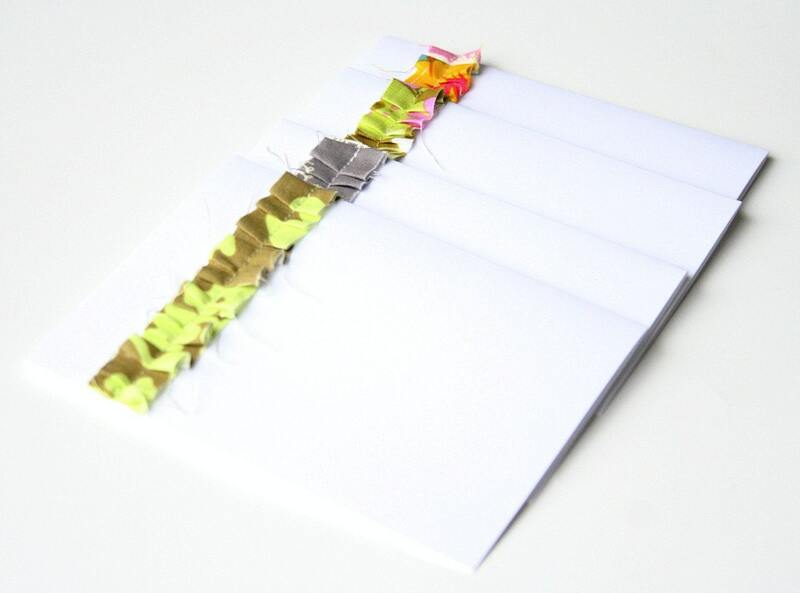 I decided to make a few envelopes to match, and proceeded to mail them to myself to see how they would hold up…..I literally gasped when I opened the mailbox and saw the pretty envelope sitting there. That truly gave me the extra push I needed to move things along. 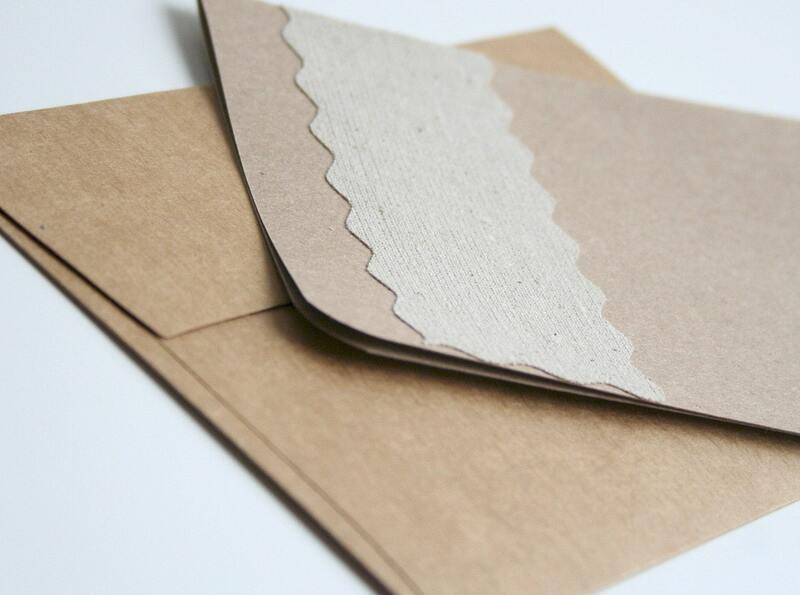 I wanted to encourage people to start mailing notes and cards out to friends and family again, to take the time to connect other than through an email (I admit, email is convenient and I use it more than a lot, however, I do believe that there truly is nothing like receiving a piece of mail addressed to you…..such a sweet and simple way to make someone smile…..it really and truly is). And that my fellow friends, is how the elliven stationery line came to be, in a nutshell of course! 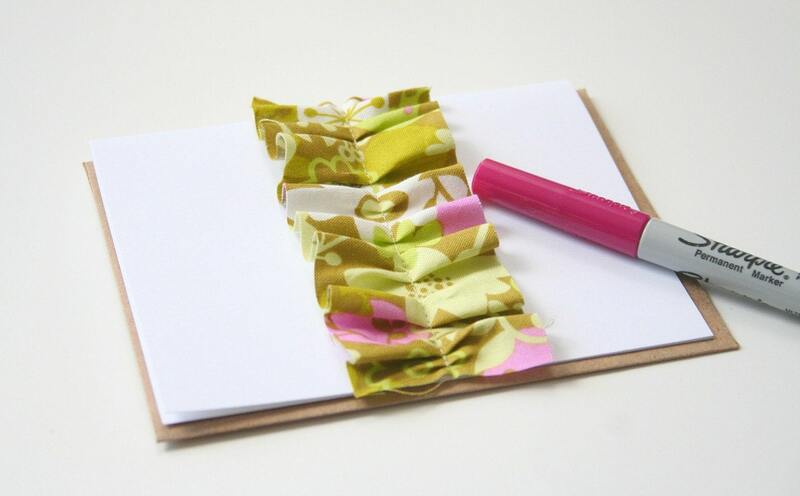 I can't even begin to tell you just how much joy I get from making the stationery line. I have many more ideas that I have yet to try out, I can't wait to explore this avenue a little more. Thank you so much Erin! They are truly loads of fun to make! Suwanee, that's so kind! Thank you! Welcome Tamara! Glad you enjoyed reading about how the stationery line began! Cheers!